22 S 2nd St. In Downtown Campbell across from Aqui. 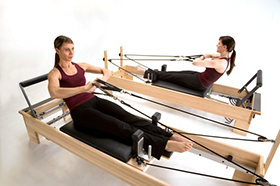 New to Pilates equipment classes? Start here or you'll fall behind in v1. 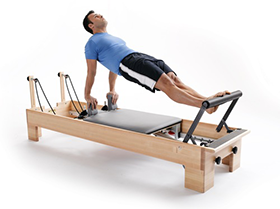 This intro class is about how to get a real Pilates equipment workout while v1 is a Pilates equipment workout. GRIP SOCKS ARE REQUIRED TO ATTEND CLASS. 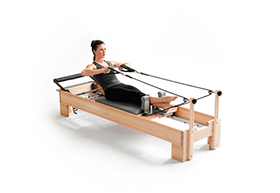 Know Pilates equipment basics? 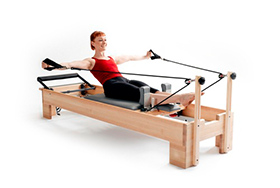 Start here and take these classes until you're ready for v2: Reformer+ Mixed-Level. GRIP SOCKS ARE REQUIRED TO ATTEND CLASS. Stiffness in your body holding you back? Stretch and release those troublesome parts for a better day-to-day and in-class experience. GRIP SOCKS ARE REQUIRED TO ATTEND CLASS. PRE-REQUISITE: Strong foundation in v1 classes. Have you developed good core strength and refined your form? Take these classes once you're confident in your abilities to mentally focus, engage your core, and have a deeper understanding of your body's limitations and how to modify for them. GRIP SOCKS ARE REQUIRED TO ATTEND CLASS. Jumping Jacks are so 90s! Fasten your Jumpboard and get your cardio on! GRIP SOCKS ARE REQUIRED TO ATTEND CLASS. 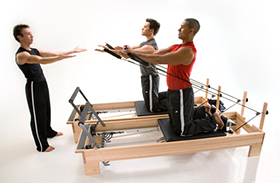 Pilates on steroids: strength conditioning, endurance, agility, balance and cardio. You'll be pushed to fatigue key muscle groups in this fast-paced and energetic format. GRIP SOCKS ARE REQUIRED TO ATTEND CLASS. Our barre & reformer fusion class combines high-energy music with elements of dance, yoga, Pilates, and balance training. You'll focus on muscle endurance with high reps doing small, controlled movements. This energetic workout will tone and define your whole body. GRIP SOCKS ARE REQUIRED TO ATTEND CLASS. PRE-REQUISITE: Extensive experience in v2 classes. Have you pushed yourself as much as possible in our Mixed-Level classes while still maintaining proper form? If you're looking for our hardest class then you've found it. GRIP SOCKS ARE REQUIRED TO ATTEND CLASS. Refrain from using heavy perfumes or scents to accommodate others with allergies or sensitivities. Tardy policy: Due to safety and quality purposes, our same tardy policies will apply: if you show up more than 5 minutes late, you will not be permitted to join but no penalty will be assessed. No late cancellation or no-show fees apply to Community Classes. Give Thanks classes are 100% donation based classes where 100% of the amount paid goes towards the instructor’s charity of choice which they will tell you about at the start or end of class! The instructor is donating their time to these classes in order to raise vital funds for organizations they are passionate about! Classes follow our standard levels of v1 Beginner, v2 Mixed Level, or other v2 Speciality classes. Give Thanks classes are non-refundable and standard late cancel/no show fees do not apply, but your class is forfeited and the donation passed on to the charity. We'll be hosting demos, raffles w/ fun prizes, and snacks! Stop by to say hi and grab some specialty priced merchandise! Please join Annie, our Assistant Director of Education, for an overview on our Teacher Training program due to start September 22nd in Willow Glen! For anyone who signs up at the open house for the program ($1000 deposit required) will receive an additional $100 off the Early Bird pricing make the program cost just $3650! Join us for our 3rd Annual Pilates V Holiday Market! Our one-day of the year where we have exclusive savings on plans, passes, and merchandise for both new and existing clients! Food, drinks, and local vendors selling unique, handmade gifts make this a perfect one-stop-shop for your holiday needs! Demos and prizes from our amazing team of Instructors as well! Join this free 30 minute class to practice breath and meditation techniques that can help you become more in touch with your body and your thoughts and release emotional and physical tension. The class will open with simple stretches and breathing exercises to promote a calm, relaxed body and mind, followed by a guided mindfulness meditation. When practiced regularly, this meditation technique can help reduce stress, increase concentration, and enhance your capacity to be aware and fully present in your day to day life. The Campbell Fall Wine Walk is here! We'll be a pouring station with lots of fun! Our studios will be closed today due to an annual all-staff, training. Thanks! 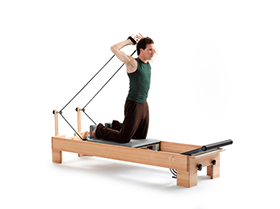 Take your Pilates practice to the next level in this 2 and half hour custom and intimate workshop! Our Director of Education Giselli will take you through in depth movements and principles to help you identify when and where you may be ready to take a v2 class! The workshop includes personalized corrections, demonstrations, take-home exercises and more knowledge than just a standard 50-minute class! Be ready to move! Making healthy food choices can be challenging and confusing, especially since what works for one person may not work for the next. Wellness and nutrition require a very customized approach that is crafted to work for your specific body type, lifestyle, health, and personal beliefs!